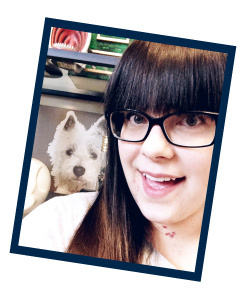 Congratulations to Kelly at View Along the Way for winning the bookends! 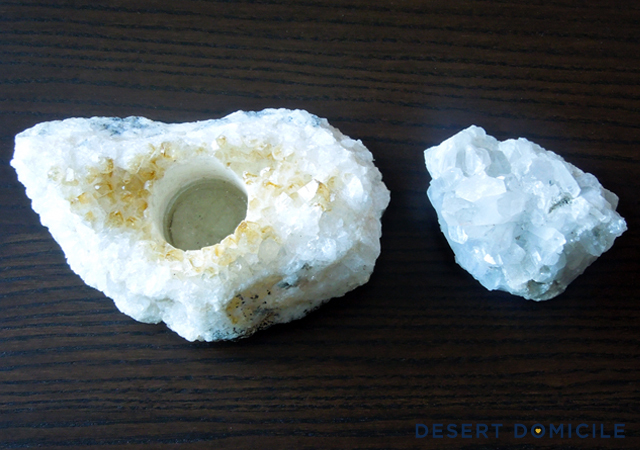 I got the citrine crystal cluster candleholder (say that 10 times fast...) on the left for $4.50 and the crystal cluster on the right for $3.28! I couldn't decide on one necklace so I took home 4 haha Prices L to R: $3, $5, $6, and $7! The set above was $8.25 and the set below was $7.50. The set I'm giving away was also $7.50 so technically I spent less than $25 ($23.25). 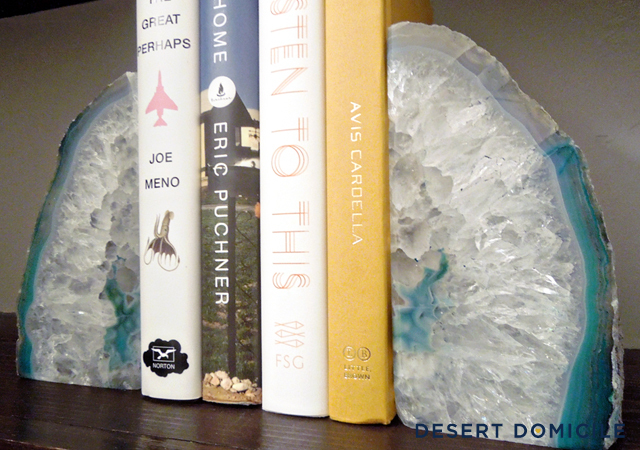 Not bad considering my local HomeGoods is asking $20 for ONE side/piece of an agate bookend! 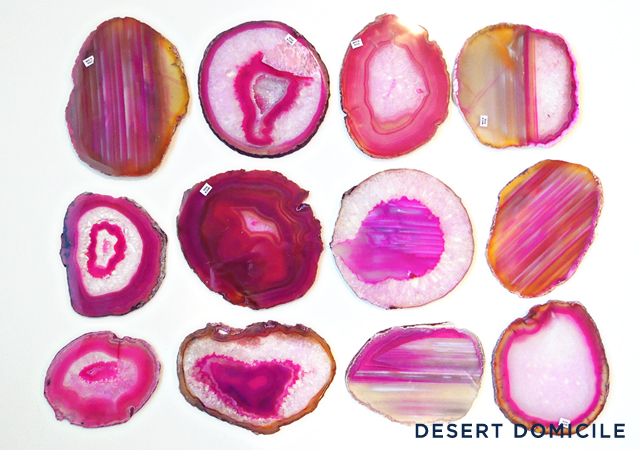 I also got a ton of agate slices. We had the option of picking through a bunch of bins for individual slices or buying a plastic wrapped bag of them. You weren't allowed to open the bag to see what was inside but all of them were marked with the size and color of the slices so you could get a general idea of what was inside. 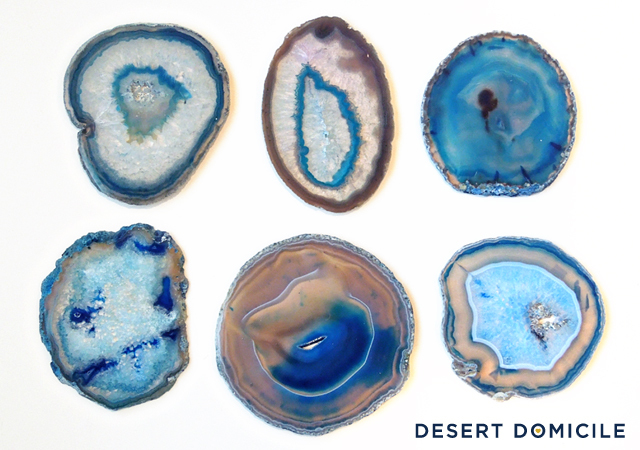 I ended up buying a bag of blue ones and got lucky that the slices inside we're very pretty! This group of pink slices came from another plastic bag like the blue ones. They were selling for $4.50/lb and I think I paid $16 and some change for all of them. 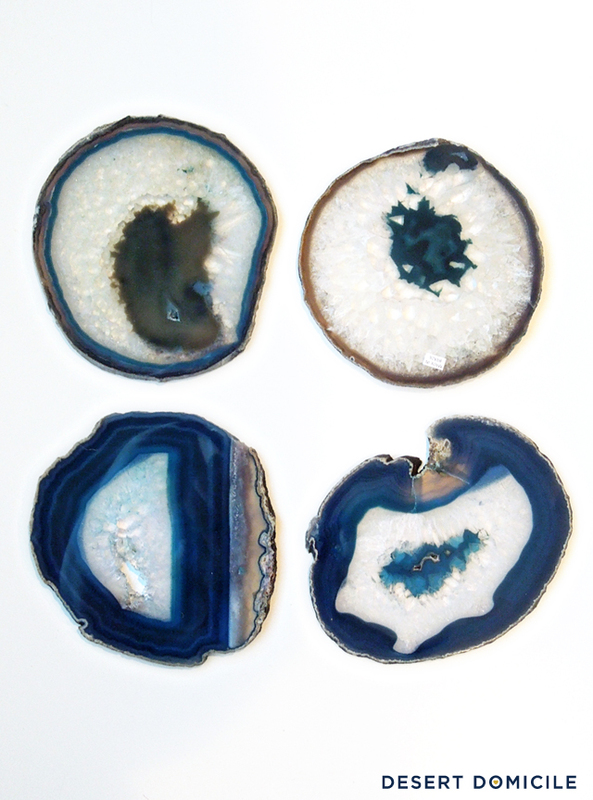 I hand picked these blue-green slices. I love, love, love the top right one! Now that you've seen everything, are you ready for the giveaway?! 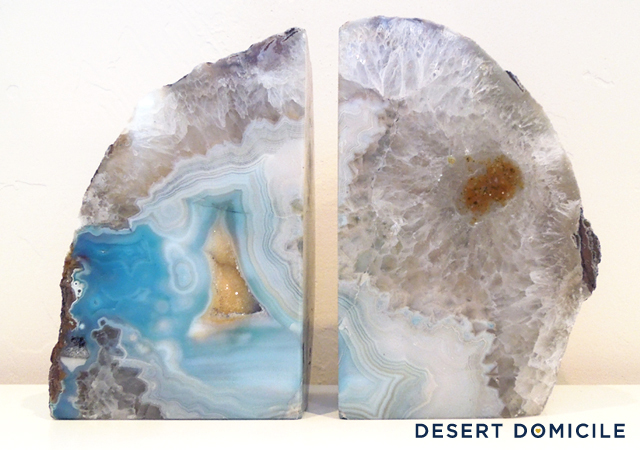 One lucky person is going to receive this aqua and white set of agate bookends! 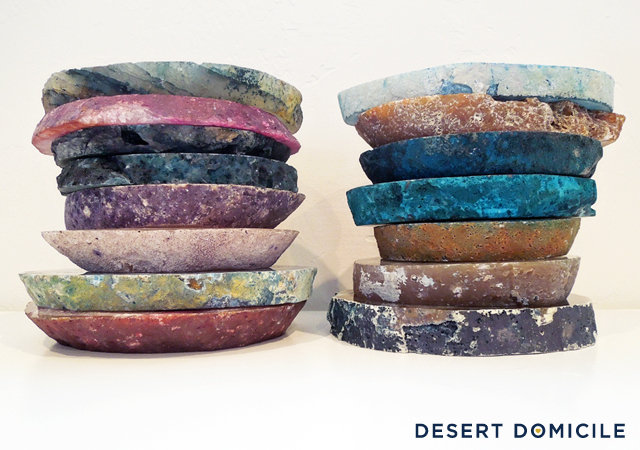 Each piece measures 5 3/4" tall x 3" wide. 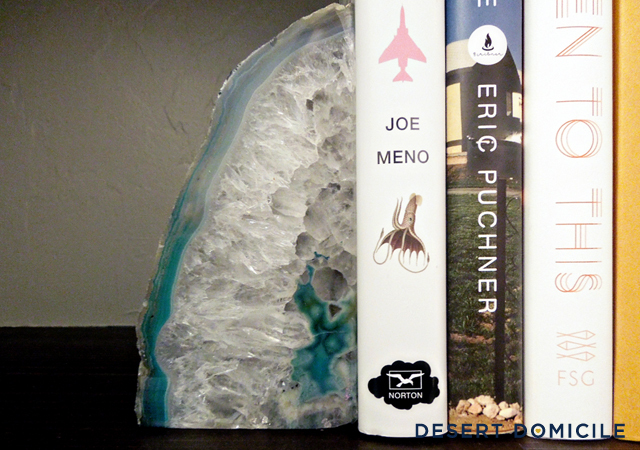 To enter: Comment on this post and tell me where you'd put the bookends if you won them. Winner info: One winner will be selected by random.org. I'll announce the winner on Tuesday, February 19th and will ship the bookends out shortly afterwards. Follow my blog (via Google Friend Connect) by clicking on the "Join this site" button in the right hand column -OR- subscribe to my blog by e-mail (also in the right hand column). If you do both, it only counts as 1 entry, sorry! Don't forget to leave a comment for each bonus entry you do. If you already follow or subscribe to my blog, like me on Facebook, follow me on Twitter or Instagram, leave a comment anyway so you get credit for the bonus entries! 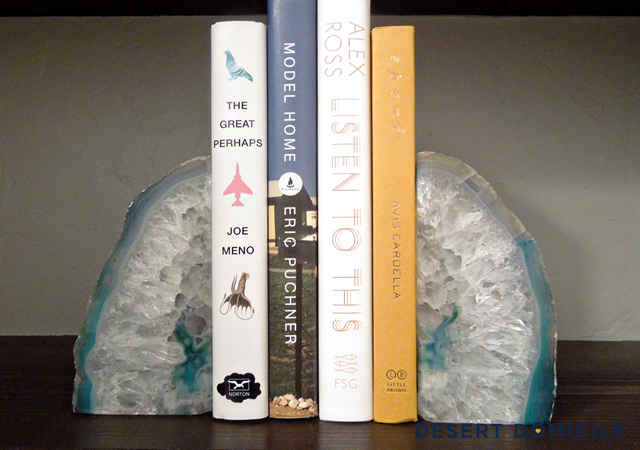 If you answer the question and complete the bonus round, you'll have 5 chances to win these bookends! 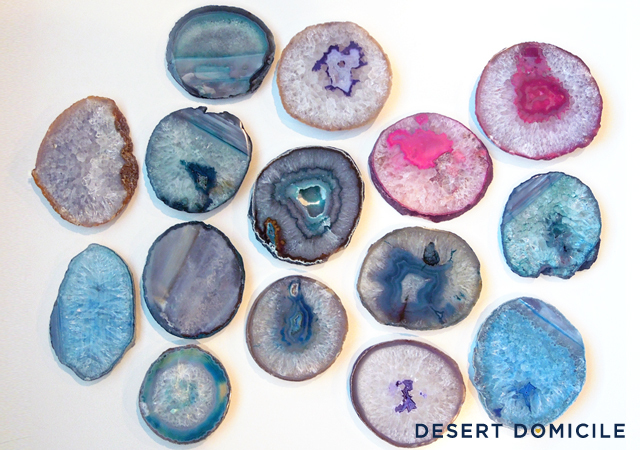 Psst: if I got anything for you from the gem show, I'll be e-mailing you with your final price (including shipping) and my PayPal information later today! I would LOVE to put these bookends on the table behind my bed! I'm currently working on updating our bedroom and these would be the perfect addition! Oh, I'm sooo jealous of having such a show available to you! I saw the ads for it when we were down there in January and was bummed we would miss it. Do you know if its the same time every year or how I would find out when it is next year? I have always LOVED that kind of stuff but don't have any. I would put a set of bookends on my built-in shelf in my family room. We have been downsizing to achieve a more clean, stream-lined look so that key pieces are really showcased. THESE would be a real focal point! I would love to put them in my living room. So pretty! I would put the bookends on a shelf in my living room because the colors would tie in great! I already follow your blog via GFC! Oh these bookends would work just perfectly in my living room! The colors are GORGEOUS! I follow you with Google Friend Connect! And now I follow you on Instagram too! I am thinking maybe putting them in my sewing area. They can be the ends to my sewing books. I follow you on Instagram...and feel like I'm a complete stalker now. 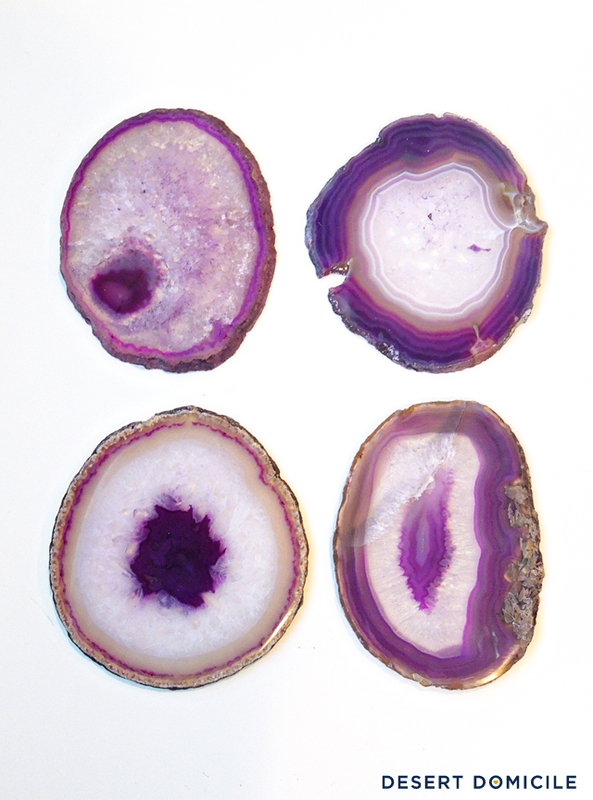 Love the purple agates! I would put the bookends on my dresser in our bedroom. It needs major styling help. 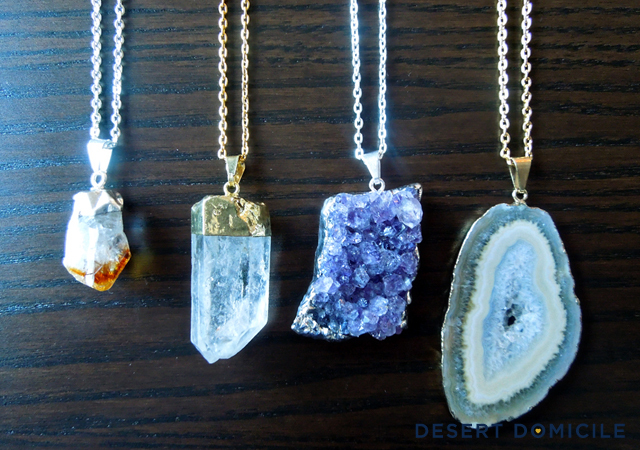 I'm so jealous of the gem show! 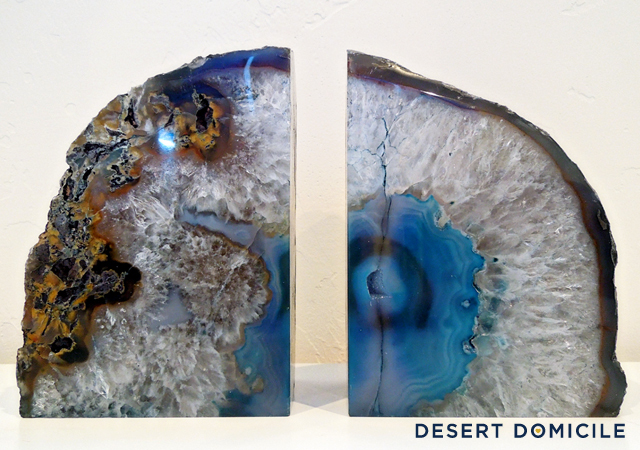 I love everything you got, and I've wanted a pair of agate bookends forever. I have a gigantic wall of IKEA Expedit shelves in my home office that would love to have these on them! They're so pretty! I think I spotted some of mine. Thanks again for getting me some! If I won these bookends I'd put them on my card catalog. I follow you on the twitter. And I follow you on IG. I can't believe markets like the one you went to exist where you are. It's amazing, so inspiring. If I won, I think they'd find a perfect home in my bedroom! I'm going to put them on the built-in bookshelf we're building for our living room! I've liked you on FB. These are beautiful! I would put them on our mantle or our new book shelf. I follow you through the site. I also follow you on FB. Love the bookends and I would use them on my new brass shelf. I also love your slices. 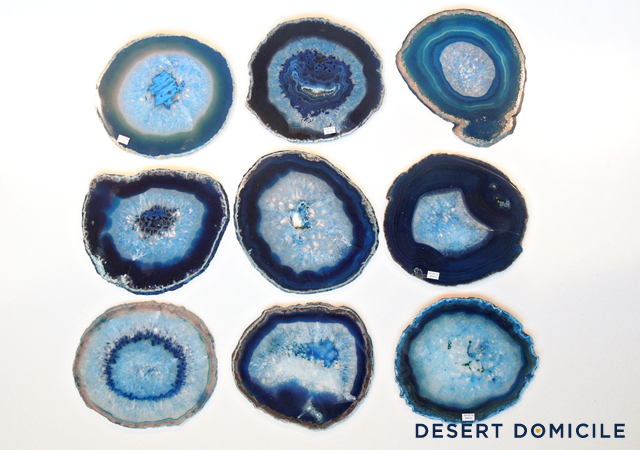 They would look so great hung up somewhere in your house. Omgomgomg. I have not wanted to win a giveaway this bad in a LONG time. I will put them everywhere. I will move them around the house with me from room to room. PUHlease pick me! I totes follow your blog, obvs. Already follow you on twitter. I'm following you in all possible ways and am completely stalkered-up. HOLY COW! What are you going to do with all those!!! LOL They are all gorgeous and if I had the bookends, I might use them on our future (dream) built ins or they'd also look cool in the kitchen holding up some cookbooks or maybe in my bedroom on my desk...basically anywhere! Now I get to see all your cool pictures on Instagram! I love these book ends, and your site. Id put these pretty ends in my back room which houses our home office!!!! I'm adding bookcases in the living room, and these would look SO good wrapped around the new design books I just bought! Those bookends are FABULOUS! I would love to place them in my bedroom. They would go great with my newly renovated orange and teal color scheme! Already love you on Facebook! I'm also doing a giveaway if you'd like to enter on my website! I would put these on my shelves in my *new* office at work! They would be a great addition and the colors are perfect!